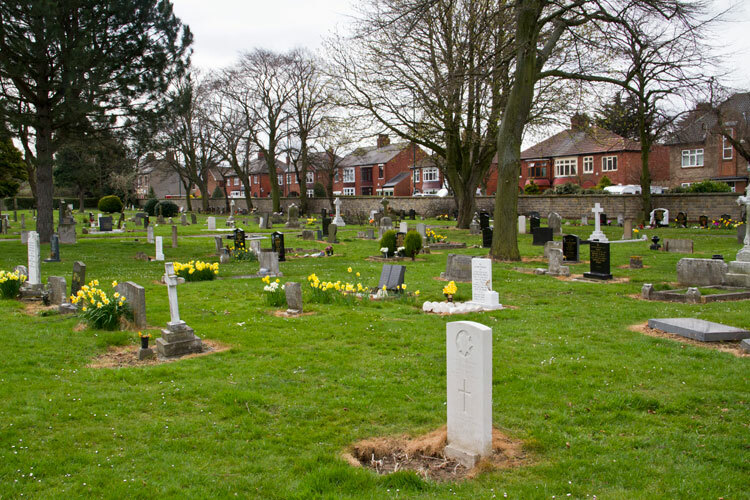 Eston Cemetery includes the graves of 16 men of the Yorkshire Regiment who died at home, and 2 graves of members of the Green Howards who died at home in World War 2 or later. 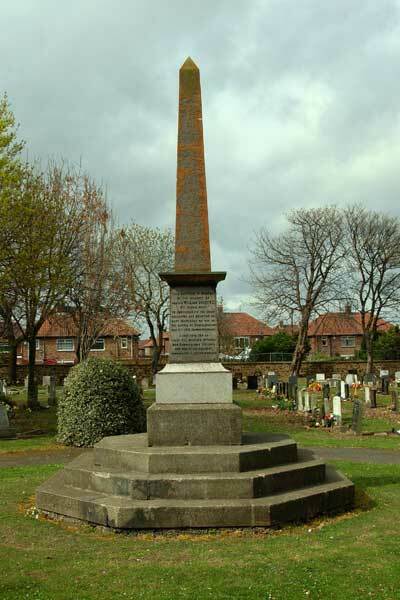 Eston Cemetery contains the Memorial obelisk to William Short VC, photographs of which have been provided by Ray Wilkins (<e2ray3636@ntlworld.com>) and can be seen at the bottom of the page. 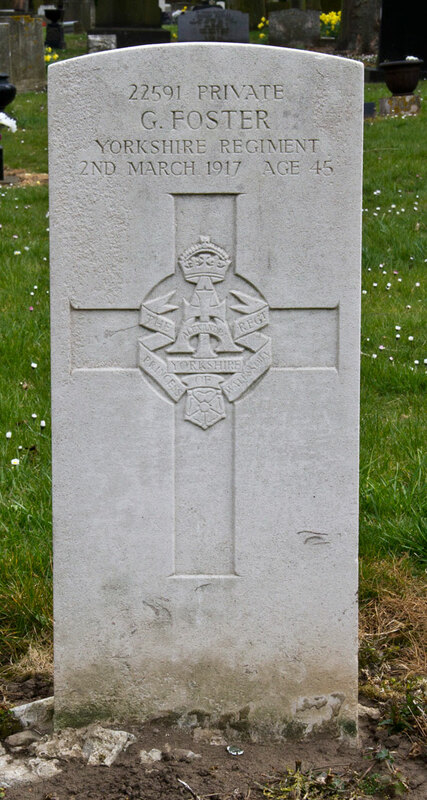 There is a Cross of Sacrifice denoting that this is a Commonwealth War Graves Cemetery. The graves are as below. To view a larger photo of each grave, click on the thumbnail image. 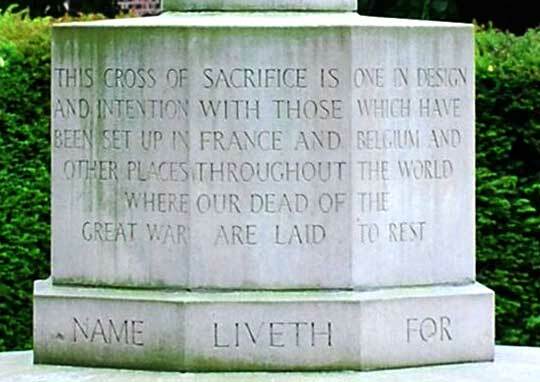 There are also several monumental inscriptions, for soldiers remembered on the memorials or headstones of their families. Select the link below to see these memorials or headstones. 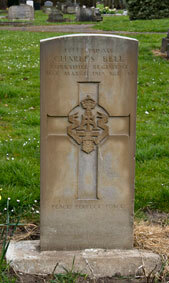 Private Charles C Bell. 13737. Yorkshire Regiment. 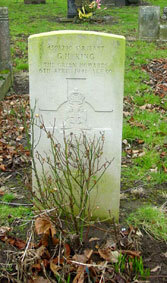 Husband of Ada Bell, of 1 10, Holden St., Grangetown, Yorks. Died 31 March 1919. Aged 37. Yorkshire Regiment (Depot). 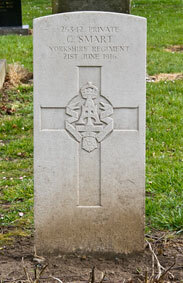 Husband of Emily Benton, of 26, Low Milbank St., South Bank, Yorks. Died 27 July 1918. Aged 30. 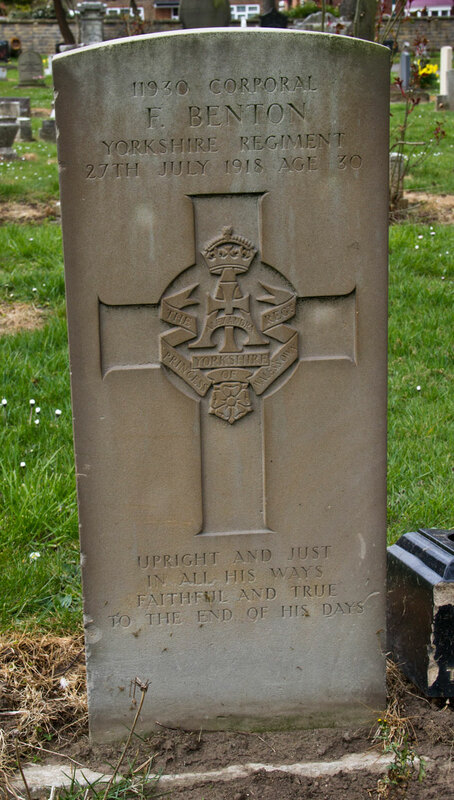 "UPRIGHT AND JUST / IN ALL HIS WAYS / FAITHFUL AND TRUE / TO THE END OF HIS DAYS"
Private William Edward Charlton. 19906. 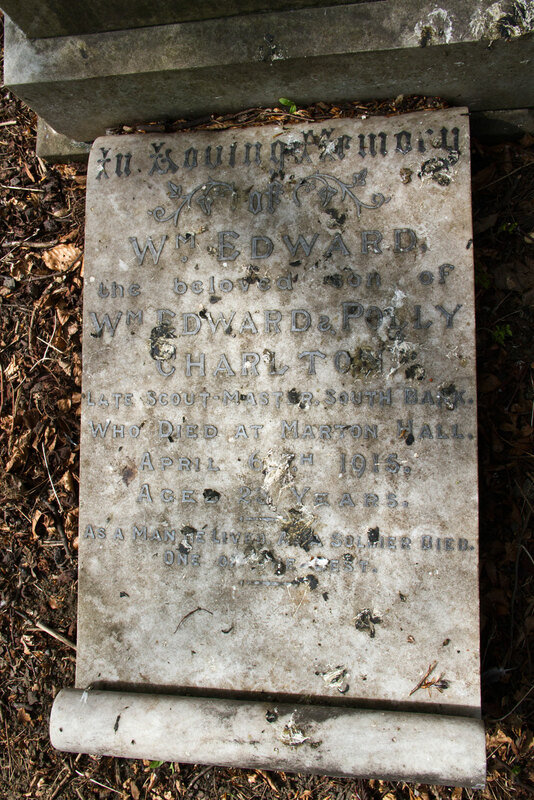 Son of William Edward and Polly Charlton, of 83, Station Road, South Bank. Died 6 April 1915. Aged 23. Born Middlesbrough, Enlisted MIddlesbrough, Resided South Bank (Yorks). "AS A MAN HE LIVED, AS A SOLDIER HE DIED. 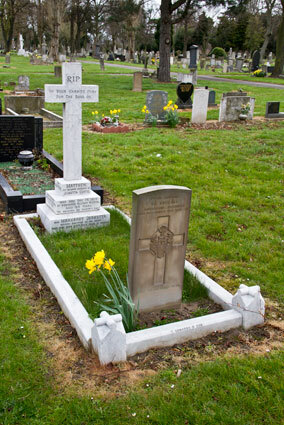 The headstone has been displaced from the base. 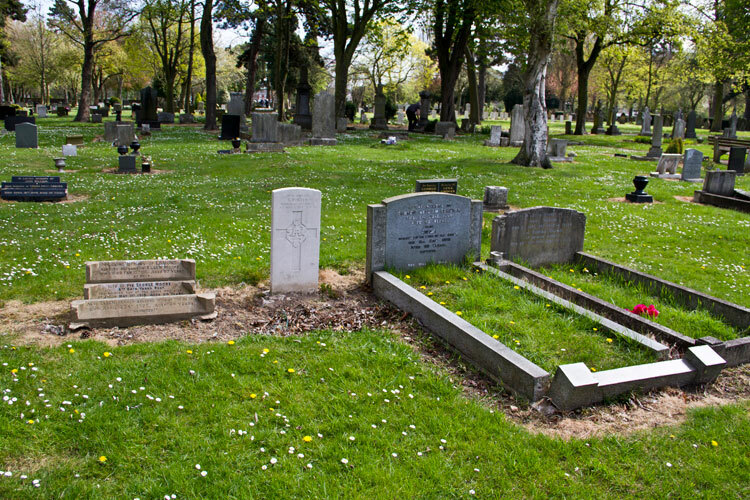 To view a photo of the complete grave, see below. 7th Battalion Yorkshire Regiment. Son of Patrick and Margaret Curtis, of 16, Branch End, South Bank; husband of Jeanetta Rose (formerly Curtis), of 18, Temple St., South Shields. Died 1 December 1915. Aged 28. 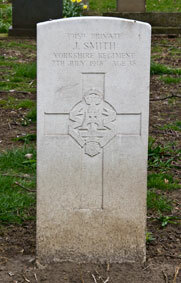 Born South Bank (Yorks), Enlisted Redcar, Resided South Bank. 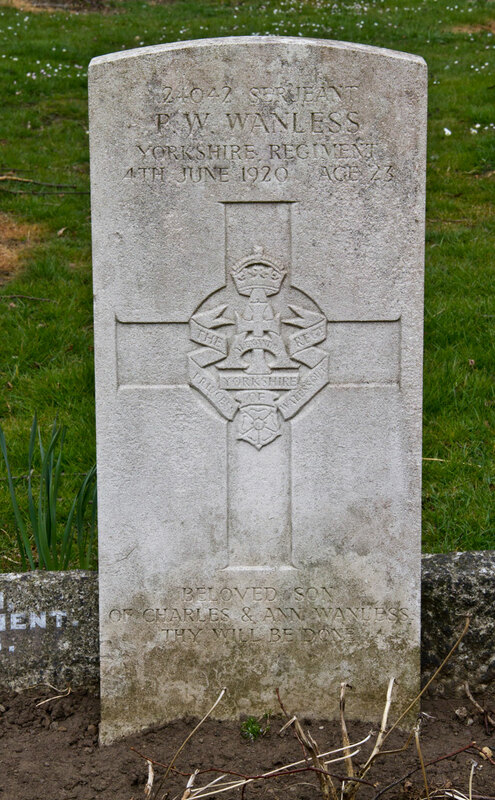 Private Curtis is also commemorated on a family memorial, - see below. 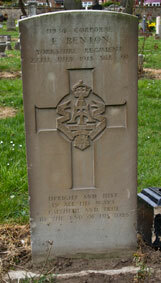 Private Herbert James Duckworth. 24997. 4th Battalion Yorkshire Regiment. 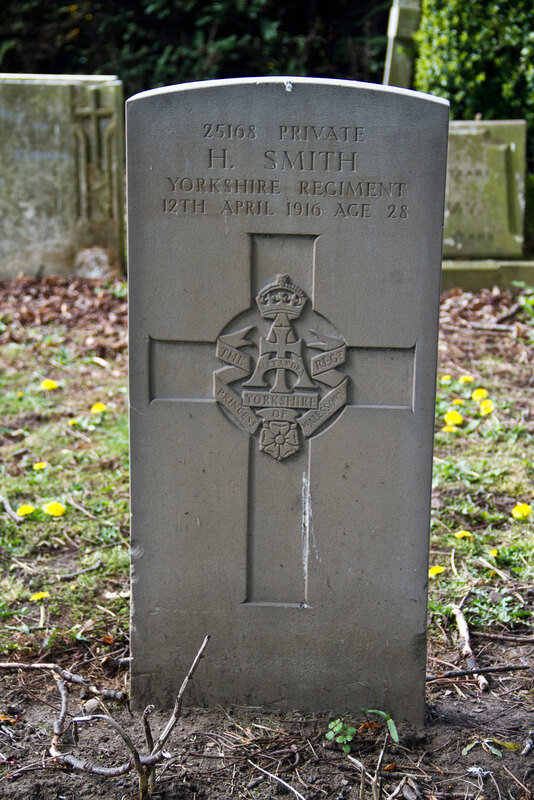 Son of Mr. J. W. Duckworth, of 87, Laing St., Grangetown, Yorks. 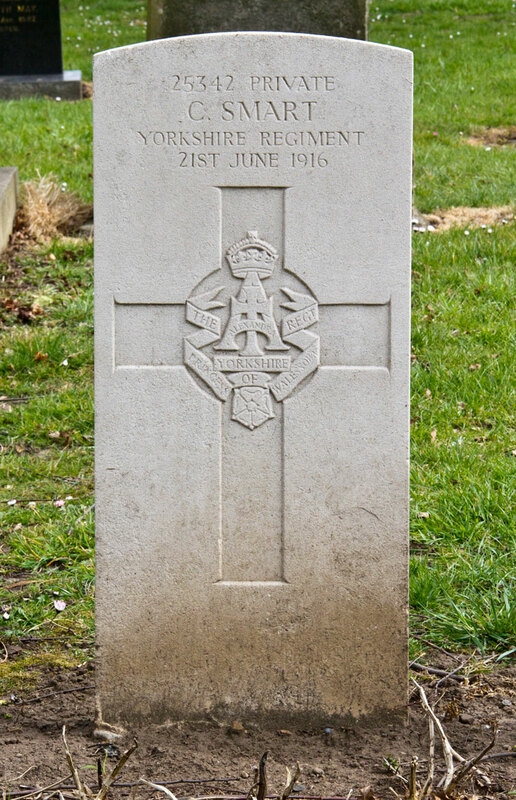 Died 9 November 1917. Aged 24. Born Eston (Yorks), Enlisted Middlesbrough, Resided South Bank. 12th Battalion Yorkshire Regiment. 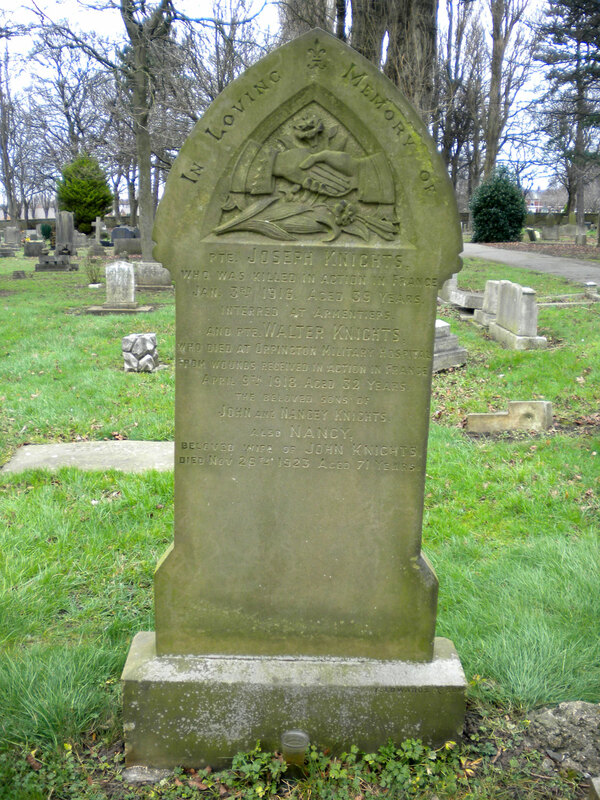 Son of John and Ann Foster, of Old Hall, Normanby; husband of Elizabeth Ann Young (formerly Foster), of 20, Haddon St., Middlesbrough. 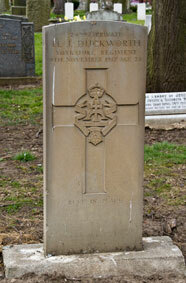 Died 2 March 1917. Aged 45. George Foster's Pension Record exists. FRom this it can be seen that he was a miner (ironstone), and was discharged from active service in May 1915 due to heart problems resulting from rheumatic fever suffered earlier). 3rd Battalion Yorkshire Regiment. Transferred to Labour Corps (regimental Number 284732). 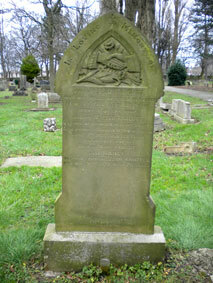 Husband of Sarah Ann Hugill, of 42, Codd St., South Bank, Yorks. Died 13 April 1918. Aged 51. 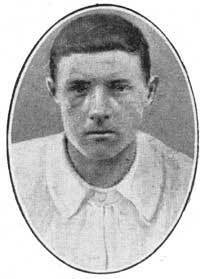 Born Bilsdale (Yorks), Enlisted Middlesbrough, Resided South Bank (Yorks). 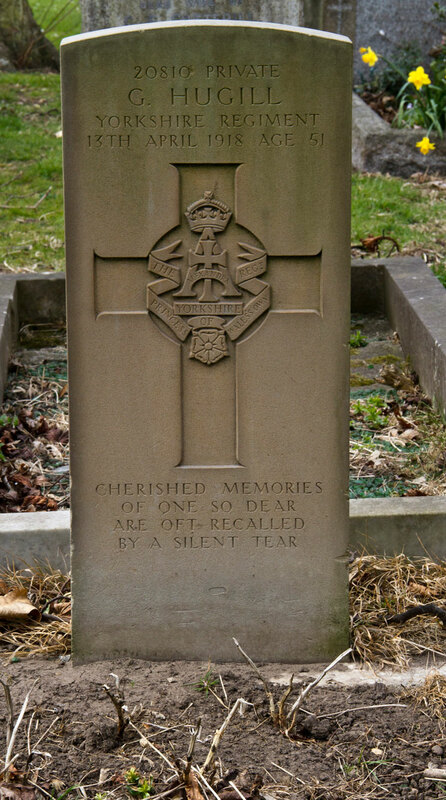 "CHERISHED MEMORIES / OF ONE SO DEAR / ARE OFT RECALLED / BY A SILENT TEAR"
2nd Battalion Yorkshire Regiment. Transferred to Labour Corps (Regimental Number 617721). Son of William and Lydia Lawrence, of South Bank; husband of Sarah Jane Foster (formerly Lawrence), of 36, Cleveland St., South Bank, Yorks. Died 9 October 1919. Aged 32. 3rd Battalion Yorkshire Regiment. 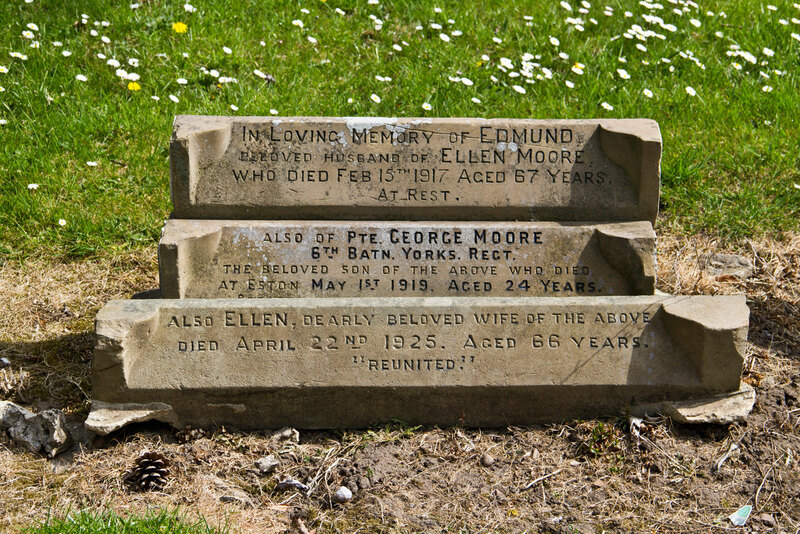 Son of Edmund and Ellen Moore. Died 1 May 1919. Aged 24. Born Eston, Enlisted Middlesbrough, Resided Eston. George Moore's Service Record exists. Enlisted August 1914 aged 19 years. Discharged November 1917 due to GSW in right leg, - compound fracture. First served with the 6th Battalion at Gallipoli. 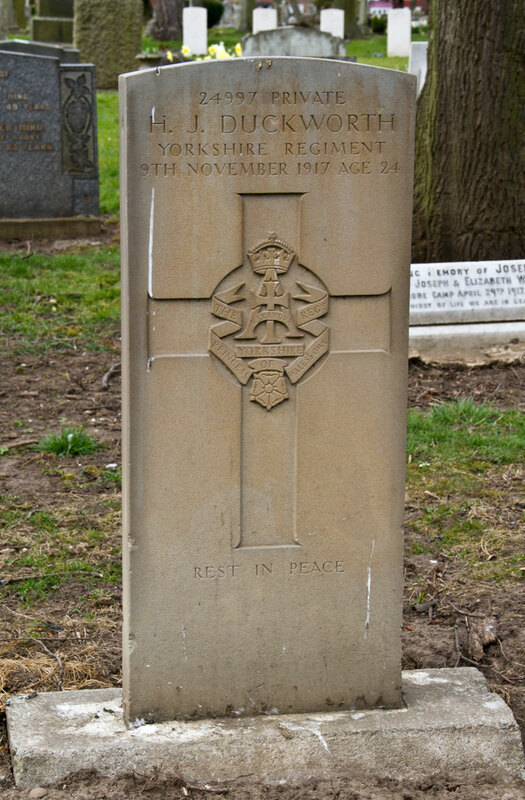 Private Moore is buried beside Private Foster of the Yorkshire Regiment. 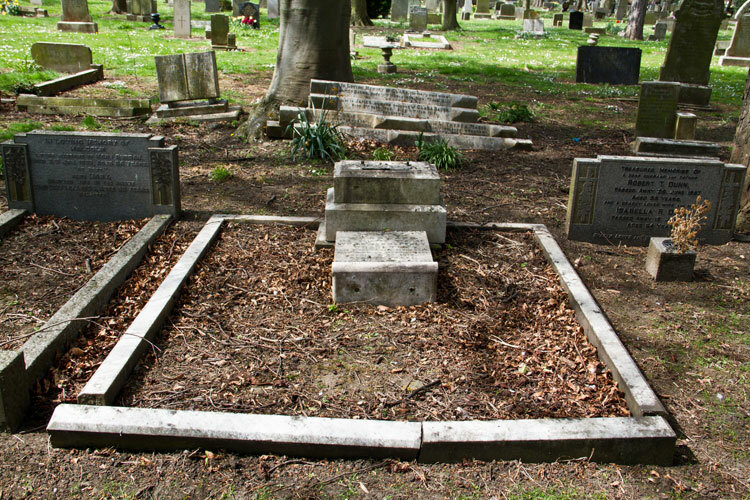 For a photo of the two graves, see below. 3rd Battalion Yorkshire Regiment. Son of the late Thomas and Eliza Ruddy. Died 6 October 1914. Aged 35. 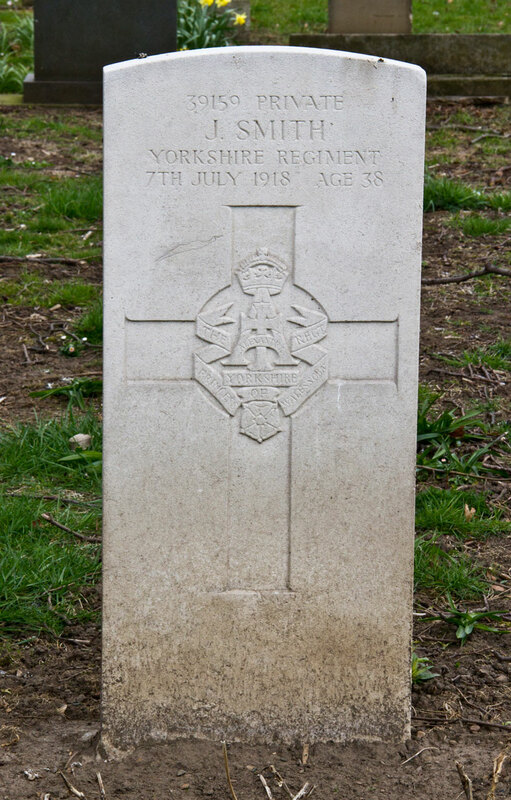 14th Battalion (CWGC) / 4th Battalion (SDGW) Yorkshire Regiment. 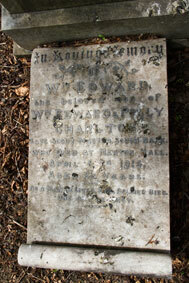 Husband of Elizabeth Burke (formerly Smart), of 1, Bessemer St., Grangetown, Yorks. Died 21 June 1916. Born Flaxton (Yorks), Enlisted Middlesbrough, Resided Grangetown. 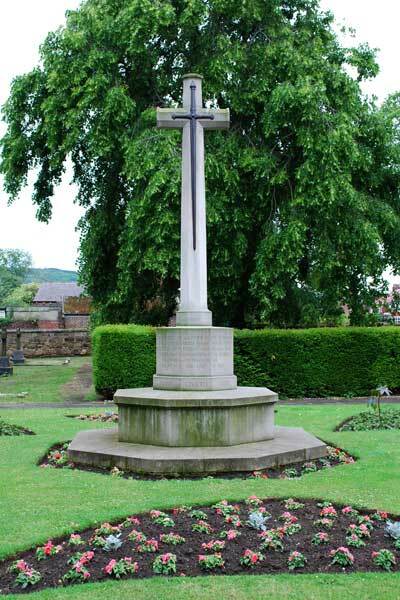 14th Battalion (CWGC) / 4th Battalion (SDGW) Yorkshire Regiment. Son of Mary Jane Bowes (formerly Smith), of 5, Laing St., Grangetown, Yorks. Died 12 April 1916. Aged 28. Born Grangetown (Yorks), Enlisted Middlesbrough, Resided Grangetown. 4th Battalion Yorkshire Regiment. 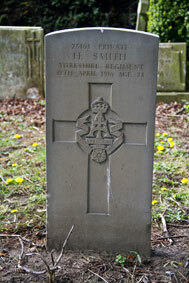 Son of John and Annie Smith, of South Bank; husband of Dora Smith. Died 7 July 1918. Aged 38. 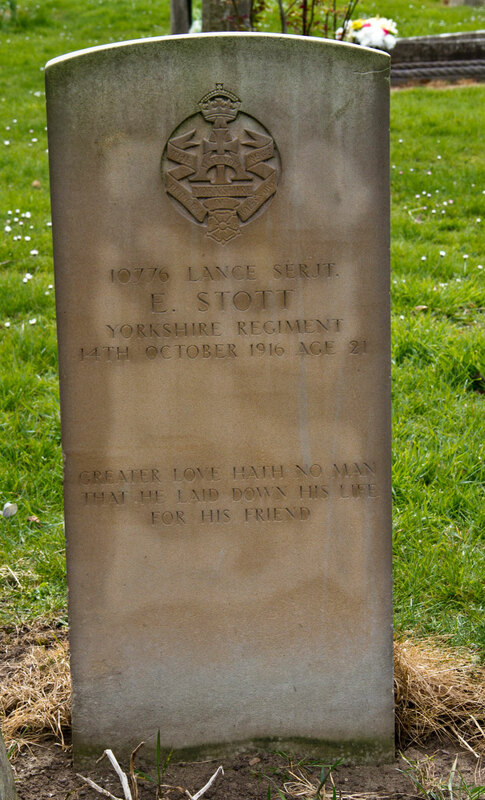 Lance Serjeant Ernest Stott. 10776. 6th Battalion Yorkshire Regiment. 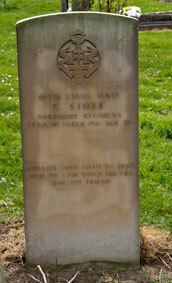 Son of David and Eliza Jane Stott, of 9, Upper Napier St., South Bank, Yorks. Died 14 October 1916. Aged 21. Born South Bank, Enlisted Middlesbrough, Resided South Bank. 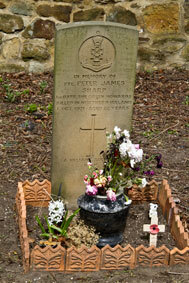 "GREATER LOVE HATH NO MAN / THAT HE LAY DOWN HIS LIFE / FOR HIS FRIEND"
Serjeant Percy W Wanless. 24042. Yorkshire Regiment. 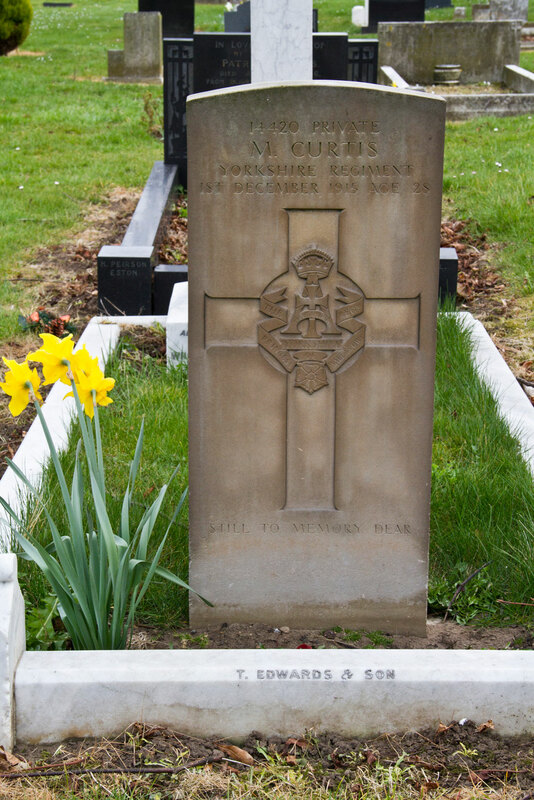 Son of Charles and Ann Wanless, of Wentworth House, Middlesbrough Rd., South Bank. Died 4 June 1920. Aged 23. Service Record exists. Difficult to read, but shows that he was wounded in 1916. "BELOVED SON / OF CHARLES AND ANN WANLESS / THY WILL BE DONE"
Serjeant G H King. 4398290. 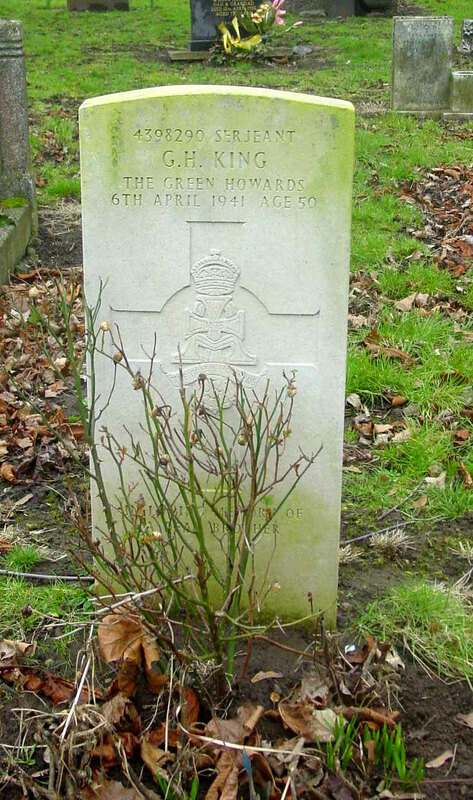 8th Battalion Green Howards. Son of William and Jane King. Died 6 April 1941. Aged 50. 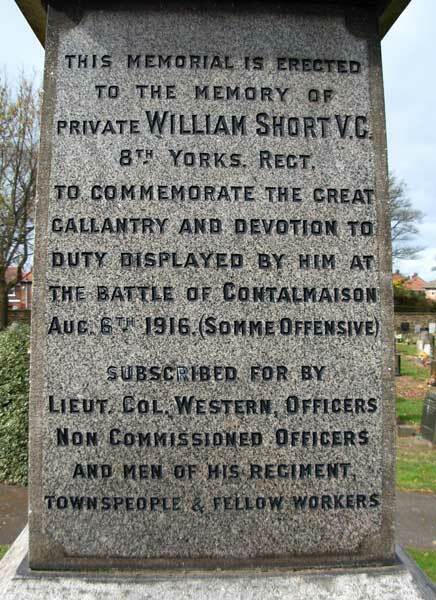 The Memorial Obelisk to William Short, VC, erected by fellow soldiers of his regiment in Eston Cemetery. 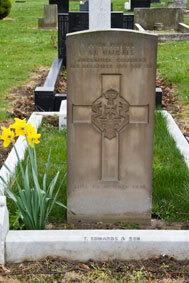 A biography of William Short, and an account of the action in which he won the VC, can be read on this website. To view a larger photo of this grave, click on the thumbnail image. Private Matthew Curtis. 14420. 7th Battalion Yorkshire Regiment. Son of Patrick and Margaret Curtis, of 16, Branch End, South Bank; husband of Jeanetta Rose (formerly Curtis), of 18, Temple St., South Shields. Died 1 December 1915. 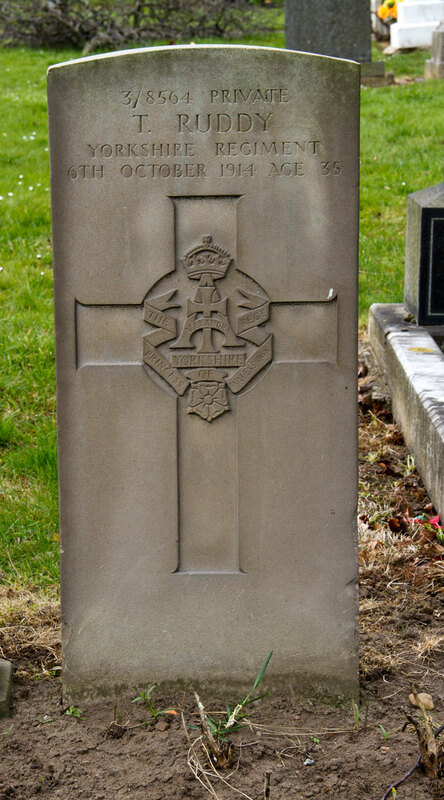 Aged 28.
WHO DIED DEC. 1ST 1915 AT BIRMINGHAM MILITARY HOSPITAL. 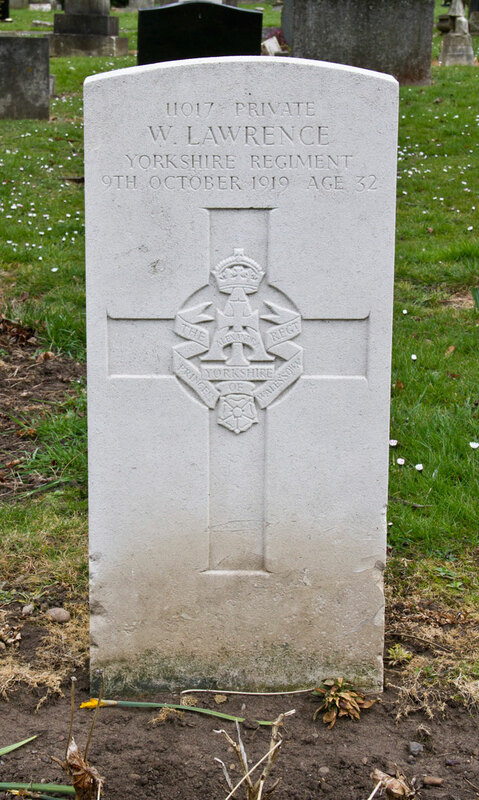 "HE ANSWERED HIS COUNTRY'S CALL"
WHO DIED SEPT. 20TH 1915 AGED 8 MONTHS. Private Walter Knights. 20932. 12th Battalion Yorkshire Regiment. 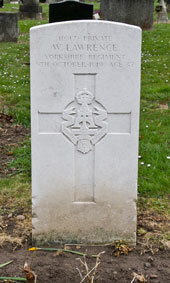 Son of John and Nancy Knights, of 85, Queen St., South Bank, Middlesbrough, Yorks. 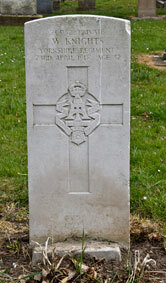 His brother Joseph Knights also died in service. Died 23 April 1918. Aged 32. JAN. 3RD 1916 AGED 39 YEARS. Private Edgar Markham. 22766. 4th Battalion Yorkshire Regiment. Killed 28 August 1918. Born South Bank (Yorks), Enlisted Middlesbrough, Resided South Bank. 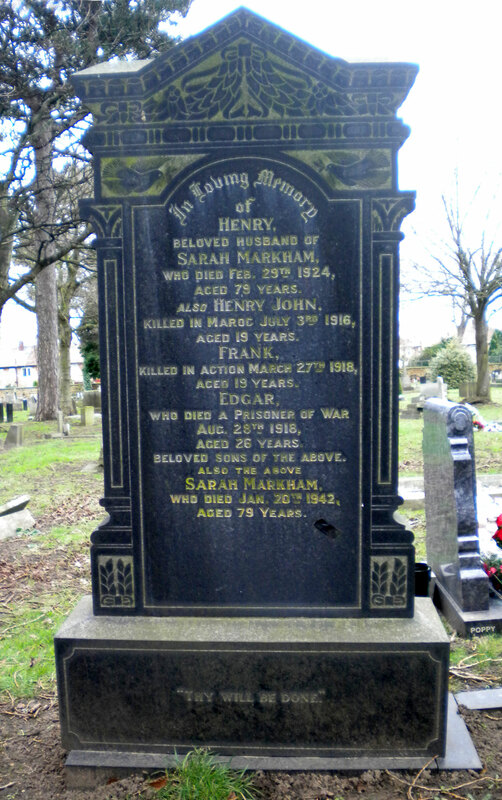 Private Henry John Markham. 22772. 12th Battalion Yorkshire Regiment. Son of Henry and Sarah Markham, of 33, Upper Graham St., South Bank, Yorks. Killed 4 July 1916. Aged 19. 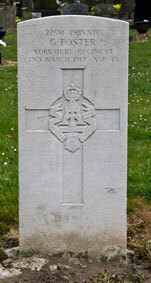 Buried MAROC BRITISH CEMETERY, GRENAY. KILLED IN ACTION MARCH 27TH 1918. Private James Vincent Morgan. 11230. 7th Battalion Yorkshire Regiment. Killed 1 July 1916. Born Rotherham, Enlisted Middlesbrough, Resided South Bank (Yorks). 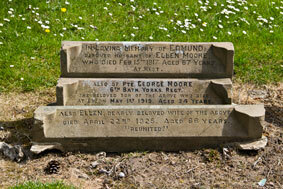 ELIZA MORGAN, WHO DIED JUNE 21ST 1901 AGED 42 YEARS. KILLED IN ACTION IN FRANCE JULY 8TH 1916 AGED 25 YEARS. 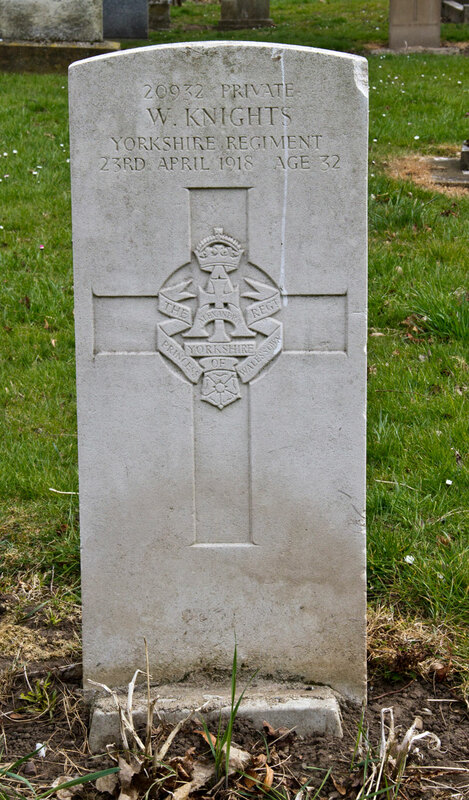 Private G Milburn Radge, 3694. 5th Battalion Yorkshire Regiment. Son of George M. and I. H. Radge, of Normanby, Eston, Yorks. Killed 26 November 1918. Aged 26. Buried BUSIGNY COMMUNAL CEMETERY EXTENSION. 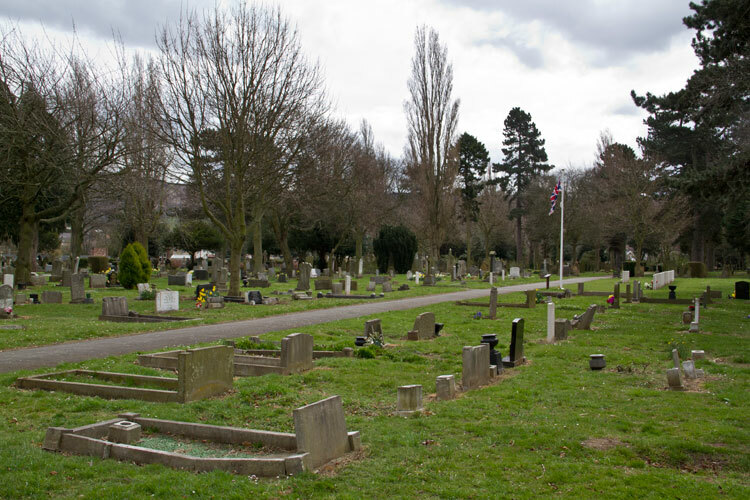 View of Eston Cemetery, looking towards the WW2 plot. View of Eston Cemetery, Western End.